Supplier & Exporter of ASTM A350 LF2 Carbon Steel Pipe Flanges, CS A350 LF3 Low Temperature Slip on Flanges, Carbon ASTM A350 LTCS Lap Joint Flanges, Carbon Steel A350 LF2 Low Temperature Blind Flanges Manufacturer in India. We, Neon Alloys acknowledged as a manufacturer & exporters of A350 LF2 /LF3 Carbon Steel Flanges Flange & Stainless steel Flanges (Gr. 304, 304L, 316, 316L) available in a variety or grades, materials, and finishes, in metric and inch sizes. 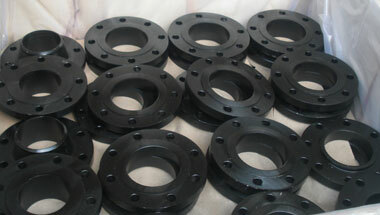 Apart from this, we deliver these ASTM A LF2 /LF3 Flanges at patrons’ destination within the stipulated time frame worldwide. We export ASTM A350 LF2 Low Temperature Flanges / LF3 Flanges which are used in applications of Oil Field, Offshore, Water System, Shipbuilding, Natural Gas, Electric Power, Pipe Projects, Pulp & paper industry, Research & development, Mega projects, Defense industry, Development industry others etc. etc. These ASTM A LF2 /LF3 Low Temperature Flanges are manufacture in different Type of Flanges like LF2 Blind Flange, LF2 Spectacle Blind Flange, LF2 Slip On Flange, Socket Welding Low Temperature Flanges Flange, LF2 Welding Neck Flange, SORF Flanges, LF2 Collar Flange, LF2 Plate Flange, LF3 Raised Face Flange, LF2 Flat Face Flange, SWRF, WNRF, BLRF, LF3 Lapped Joint Flange, LF2 Ring Type Joint Flange, LF2 Threaded Flange & LF3 Low Temperature Flanges Long Welding Neck Flange. Carbon ASTM A350 LF2 CL1 Pipe Flanges Manufacturer, CS A350 LF2 LTCS Plate Flanges, ASTM A350 DIN/ASME Pipe Flanges, Carbon A350 LF3 LTCS Socket weld Flanges, ASTM A350 LF2 CL2 Low Temperature Carbon Lap Joint Flanges Suppliers in India. Kazakhstan, Peru, Angola, Mozambique, Democratic Republic of the Congo, Canada, Australia, Turkey, Jordan, Nigeria, Venezuela, Morocco, Iraq, Ethiopa, Saudi Arabia, Dubai, Israel, United States, Indonesia, Uganda, Egypt, Malaysia, Kuwait, Germany, Houston, Iran, Ghana, Algeria, South Africa, Brazil, UK, Africa, Tunisia, Sri Lanka, Argentina, Mexico, UAE, Italy, Bahrain, Trinidad and Tobago, Chine, London, Colombia, Russia, Thailand (Bangkok), Cameroon, New Zealand, Azerbaijan, Vietnam, Sudan. Abu Dhabi, Dakar, Tehran, Cairo, Kano, Alexandria, Soweto, Subra al-Haymah, Kaduna, Port Elizabeth, Jerusalem, Benin, Byblos, Ibadan, Rabat, Accra, Durban, Dubai, Tel Aviv, Cairo, Maputo, Khartoum, Maiduguri, Abidjan, Nairobi, Muscat, Sharm el-Sheikh, Data from the UN, Singapore, New York, Douala, Pretoria, Lagos, Jeddah, Fez, Tripoli, Amman, Doha, Manama, Kinshasa, Kolwezi, Cape Town, Addis Ababa, Ouagadougou, Brazzaville, Luanda, Beirut, Omdurman, Istanbul, Lubumbashi, Harare, Dar es Salaam, Conakry, Johannesburg, Zaria, Antananarivo, Algiers, Dammam, Mbuji-Mayi, Colombo, Kampala, Mecca, Aqaba, Port Harcourt, Giza, Hong Kong, Bamako, Casablanca, Mogadishu, Bulawayo, Riyadh, Lusaka, Freetown, Bethlehem, Yaoundé.